WOW! Women On Writing Blog: Lily Iona MacKenzie Launches her tour for Fling! Lily Iona MacKenzie’s debut novel, Fling! is a wildly comic romp on mothers, daughters, art, and travel. While the main characters are middle-aged and older, their zest for life would draw readers of all ages, male or female, attracting the youthful adventurer in most people. The heart of the book is how they approach their aging selves and are open to new experiences. About Fling! : When ninety-year-old Bubbles receives a letter from Mexico City asking her to pick up her mother’s ashes, lost there seventy years earlier and only now surfacing, she hatches a plan. A woman with a mission, Bubbles convinces her hippie daughter Feather to accompany her on the quest. Both women have recently shed husbands and have a secondary agenda: they’d like a little action. And they get it. Alternating narratives weave together Feather and Bubbles’ odyssey. The two women travel south from Canada to Mexico where Bubbles’ long-dead mother, grandmother, and grandfather turn up, enlivening the narrative with their hilarious antics. In Mexico, where reality and magic co-exist, Feather gets a new sense of her mother, and Bubbles’ quest for her mother’s ashes—and a new man—increases her zest for life. Unlike most women her age, fun-loving Bubbles takes risks, believing she’s immortal. She doesn’t hold back in any way, eating heartily and lusting after strangers, exulting in her youthful spirit. Readers will believe they’ve found the fountain of youth themselves in this character. At ninety, Bubbles comes into her own, coming to age, proving it’s never too late to fulfill one’s dreams. Fling! is available as a paperback at Amazon, Barnes & Noble, and your local independent bookstore. To win a copy of Fling! please enter using the Rafflecopter form at the bottom of this post. The giveaway contest closes this Friday, July 31st at 12:00 AM EST. We will announce the winner the same day in the Rafflecopter widget. Good luck! A Canadian by birth, a high school dropout, and a mother at 17, in her early years, Lily Iona MacKenzie supported herself as a stock girl in the Hudson’s Bay Company, as a long distance operator for the former Alberta Government Telephones, and as a secretary (Bechtel Corp sponsored her into the States). She also was a cocktail waitress at the Fairmont Hotel in San Francisco, briefly broke into the male-dominated world of the docks as a longshoreman (and almost got her legs broken), founded and managed a homeless shelter in Marin County, and eventually earned two Master’s degrees (one in Creative writing and one in the Humanities). She has published reviews, interviews, short fiction, poetry, travel pieces, essays, and memoir in over 140 American and Canadian venues. Fling, one of her novels, was be published in July 2015 by Pen-L Publishing. Bone Songs, another novel, will be published in 2016. Her poetry collection All This was published in 2011. She also teaches writing at the University of San Francisco, is vice-president of USF's part-time faculty union, paints, and travels widely with her husband. WOW: Thank you for choosing WOW to help promote your book. We are looking forward to a great tour! Lily, We are going to start with a really tough question: Who or what inspired you to write and how have you been instrumental in encouraging others? Lily: I wish there was a simple answer to this question. No one inspired me to write. Something in me had to write. I was a high school drop out, and I didn’t have parents who understood there was such a thing as an artist’s or writer’s vocation. When I was in my mid-20s and working as a customer service representative for Olsten Services, I recall telling a co-worker that I wanted to be a writer. But I honestly didn’t know where those words came from. At that point in my life, all I had written were letters. English had been my strong subject in high school before I dropped out. But the only poem I recall having read at that point was Poe’s “The Raven,” and that had happened before I quit school. But I did begin to keep a journal while going through a depression when I was 28, and that practice continues until today. I also went into therapy. That commitment helped me to discover myself as a writer and led me to major in creative writing as an undergraduate. Later, I also earned a Masters degree in creative writing and another in the humanities. The rest is history. How have I been instrumental in encouraging others? I’ve taught expository and creative writing over the years, and that has exposed me to gifted students. It’s been a privilege to support their process. WOW: Support is incredibly important for all of us. Have you found book clubs and writers groups to be a good place to find additional support and encouragement? What has your experience been? Lily: I’ve been part of a small book club for many years. What I’ve loved about the group is discovering books that I otherwise wouldn’t have chosen on my own. It’s forced me out of my comfort zone into works that challenge and inspire. We’ve read works like The Constellation of Vital Phenomena, a masterfully constructed novel about Chechnya, and The Traveler of the Century, one of the best books of 2014. I’ve also participated in an on-line writer’s group for a long time. I started it because I wanted to continue to receive the valuable feedback that fellow experienced writers can give one another. So I sent out a message to graduates of San Francisco State’s Masters’ in Creative Writing program and invited those who were interested to get in touch. The group members have changed over the years, but we continue to give each other important comments on our fiction. By the time each person has remarked on a submission, it adds up to one expert editor’s response. It’s been enormously helpful to have these readers’ views. WOW: Sounds like it was time well spent. Speaking of time, how do you manage to get everything done, stay on task, and use your time to your fullest? Lily: Before I had a book in pre-publication, I didn’t have too much trouble keeping to my one hour a day schedule. I usually can fit in that amount of time, and I’ve produced an amazing amount of material over the years as a result: three poetry collections, one of which is published; four+ novels, two of which are on their way to being published, and I’m sure the other ones will as well; a short story collection; travel articles; reviews; memoir; and much more. But at the moment, marketing responsibilities have made it difficult to be as faithful to this regime. I look forward to when I can resume it! WOW: You certainly are focused and driven: such an inspiration for all the rest of us! Lily: I really don’t have a favorite author. There are too many that I admire and regularly return to for inspiration. Gabriel Garcia Marquez is one such writer. His One Hundred Years of Solitude found me at a time when I needed a model for the magical realism approach that seems natural to me and inhabits much of my work. I’ve read nearly all of his books and return to them frequently. He’s a kind of muse. WOW: Support (as well as inspiration) is incredibly important in any career, but especially as a writer. Who has been most supportive of your writing through the years? Lily: My husband has been exceptional in not protesting when I need time to write. His field is the 19th and 20th Century novel, so as a reader, he’s perceptive and extremely thoughtful. In my acknowledgement in Fling!, I refer to him as my first and best reader. WOW: Sounds like you two are a great team! How do the two of you celebrate your successes? Lily: Success is relative. I’ve published many things, and it’s always satisfying to have one’s efforts recognized in this way. However, I’ve been writing for so many years now, that when one of my books finally is published, my response is “It’s about time!” But my husband always wants to do something special to acknowledge a new publication and will bring home champagne for us to share. WOW: On the flip side of success, what about rejection? Not that we ever want to be rejected, but let’s face it…it’s all part of writing and being published. Do you have some words of wisdom for others? Lily: Finding a responsive reader for one’s work is challenging. I’ve sent out many stories/poems/essays over the years that didn’t get picked up immediately. But if you believe in the piece and it’s worth being published, then it will eventually find a home. Persistence and doggedness is essential to succeed as a writer. WOW: That’s a great way to explain it; thanks for sharing! What’s next for you Lily? Lily: Bone Songs, another novel, will be published in 2016, so I’ll be spending some time in the next few months revising that book. I’m also two-thirds of the way through a collection of short pieces entitled The Sinner’s Club. Each character is part of the same church setting and has an intriguing story to tell. The various sections offer a kaleidoscopic view of this particular religious community and its characters’ foibles. Since I’ve written a total of four novels, I’m eager to focus at the moment on short fiction and poetry. I’ll be interested to see what will tempt me to tackle another longer work. WOW: Thank you so much for choosing WOW! and for today’s wonderful interview. We look forward to your future books and hope to see you again in 2016 and beyond! "Poetry and Perception" is the topic today at Choices by Madeline Sharples. Read this insightful guest post by author Lily Iona MacKenzie and find out more about her latest novel Fling. One lucky reader will also win a copy of their own to enjoy! Find out what Lily Iona MacKenzie has to say about writers groups as she stops by the blog of Cathy Stucker. MacKenzie's debut novel Fling! is quickly climbing the charts, you won't want to miss a moment of this exciting book blog tour! "Writing Memoir" is the topic at the blog of author Ava Louise. Thank you to fellow author Lily Iona MacKenzie for this fabulous guest post. Reader can stop by and learn more about this topic as well as MacKenzie's debut novel Fling! Linda Juul reviews Fling! by Lily Iona MacKenzie. Don't miss this review as well as a giveaway to win your own copy of this debut novel. Join fellow author Audry Fryer as she reviews Fling! by Lily Iona MacKenzie. Lily Iona MacKenzie shares insight about "Writing Like an Architect" as she writes the guest post for Mc Simon Writes. Find out more about this topic as well as MacKenzie's debut novel Fling! Join Lily Iona MacKenzie as she writes about "Timing and the Creative Process" as the guest author at Kathleen Pooler's Memoir Writer's Journey today. Learn more about MacKenzie and her debut novel Fling! Today's guest author at Hott Books is Lily Iona MacKenzie with a guest post about revising your writing. Learn more about this topic as well as MacKenzie's debut novel Fling! Don't miss today's guest post at Mari McCarthy's Create Write Now. 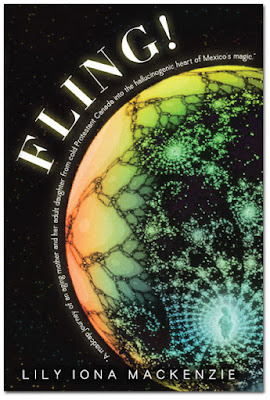 The topic is: "Writing as a Spiritual Path and an Exercise in Trust" written by Lily Iona MacKenzie as part of her book blog tour for her debut novel Fling! Lily Iona MacKenzie authors today's guest post at Lisa Hasleton's blog. Don't miss this topic of "Blogging" and find out more about MacKenzie's debut novel Fling! 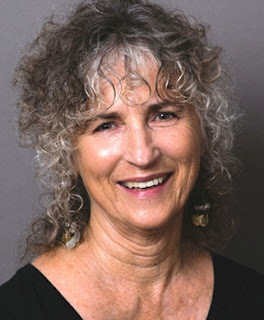 Fellow author Linda Appleman Shapiro will be reviewing Fling! by Lily Iona MacKenzie. Don't miss this insightful blog stop. Enter to win a copy of Fling! by Lily Iona MacKenzie! Just fill out the Rafflecopter form below. We will announce the winner in the Rafflecopter widget THIS Friday, July 31st! I'm excited to have Fling! featured on this page. Thanks, Crystal! I've been meaning to tell you how much I love your headshot/profile pic. Did you have it taken professionally? I did have it taken professionally. Thanks for the good words! Great interview, ladies! Lily, it's refreshing that you decided to write this novel from the perspective of middle-aged and older characters. I spent a year living in Mexico and fell in love with it. It's such a magical place. :) Fling! is definitely on my TBR list. Will it be released for Kindle? I know. There aren't many novels that feature women of a certain age! And, yes, Mexico is a magical place. Fling! will be released in Kindle. I just don't have a date yet. My publisher's wife just had emergency surgery that will put them back a bit because they are a small press. If you want to send me your email address, I'll be happy to notify you when it comes available. You can reach me at mackenzie@usfca.edu.